Painter’s Backdrop was one of my earlier Three Waters Farm purchases. Another 40/40/20 Merino/Superwash Merino/Silk blend, I was drawn to how neutral it was and yet — that POP of strawberry in there. It was a braid I just had to see spun and since I’m generally not one to depend on someone else to spin things up for which I’m curious, it came to live at my house. And finally this past month, it made its way to my wheel. 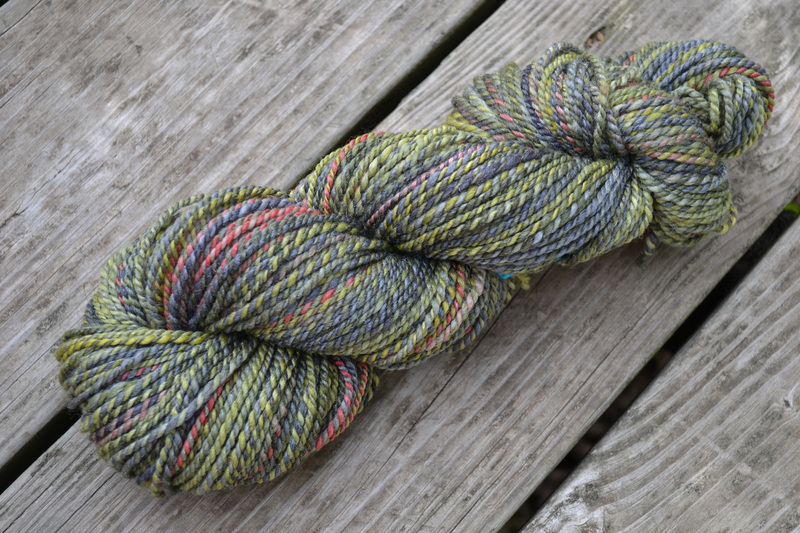 At a solid 200yards, it’ll make a lovely hat or set of mitts. I’m thinking maybe a something like a Sitka Spruce beret or something more understated like a Mawson cap. I have the feeling simple might be better. 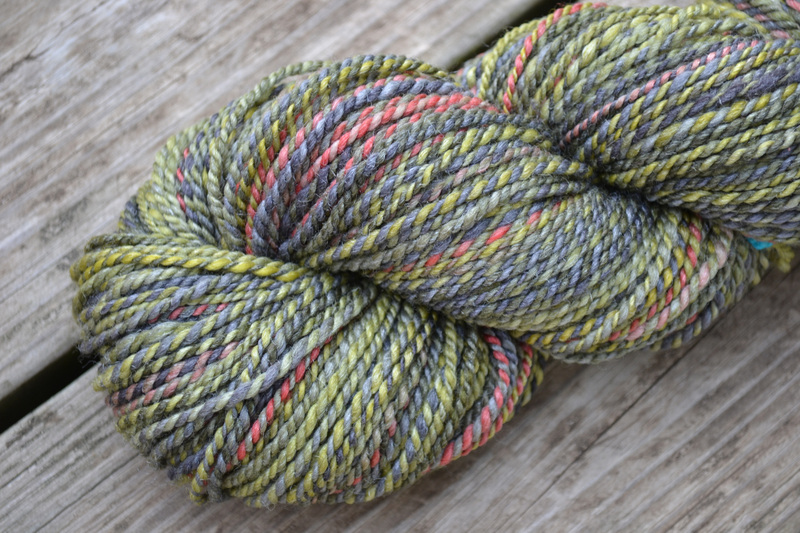 I think simple would really let the subtle color variations in the yarn sing. 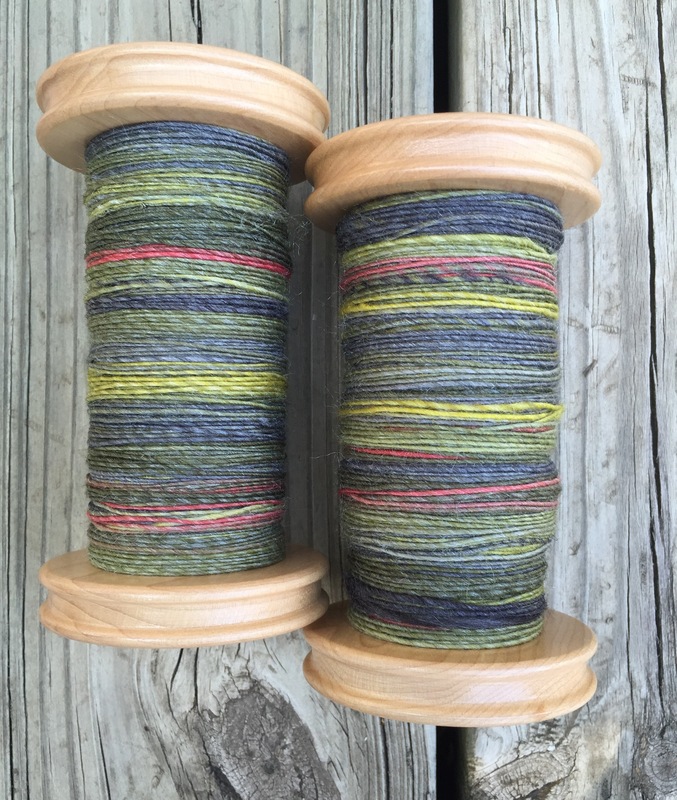 And in my eyes, sing is just what this yarn seems to want to do. It’s not a knock-your-socks off kind of yarn like an opera singer with a voice that can fill a theater. No, this yarn is more of a low, throaty, understated crooner. And you’d better believe, I’m going to let it do its thing. Thanks, Wendi! And me, too! Me, too! That pink is delicious! Love this one- that pop of red really makes it interesting. That Mary Ann is so good at what she does. She absolutely is!!! I know, I know! That red is a huge reason I grabbed this braid. I *had* to know what it would become! I’m so glad you post so many photos. 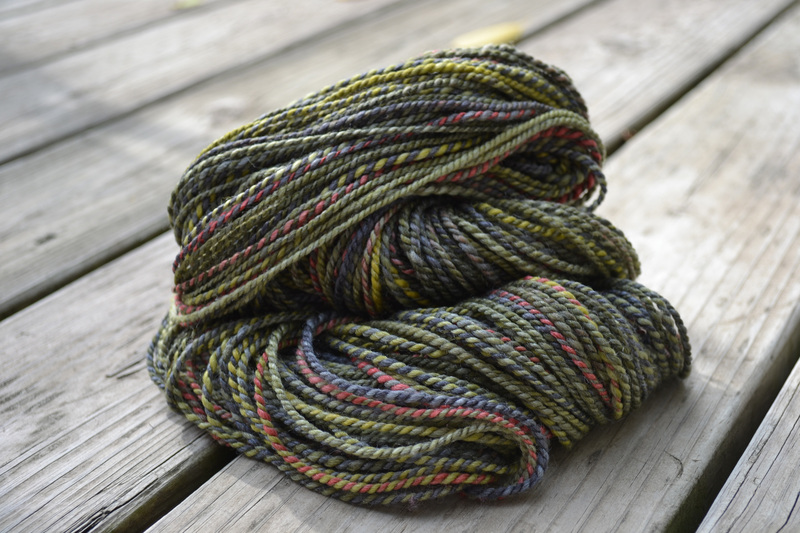 I would never have known that fiber would make such a pretty yarn! I can’t wait to see it knit up. Thanks! 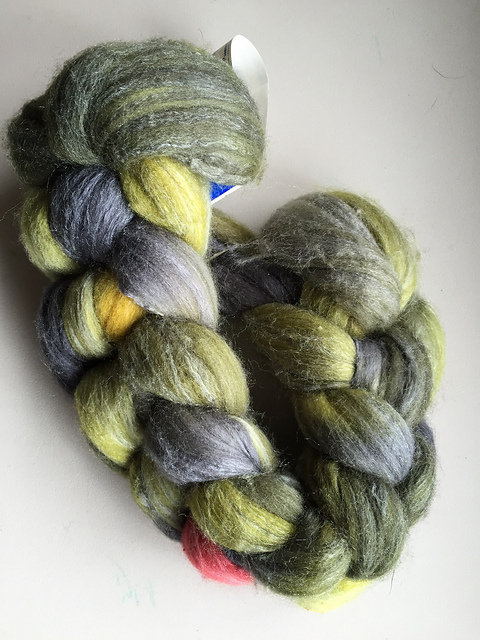 It really takes so much time to start seeing the possibilities in a braid of fiber — at least it did for me! I love sharing the step-by-step — I think it’s the very best way to learn!